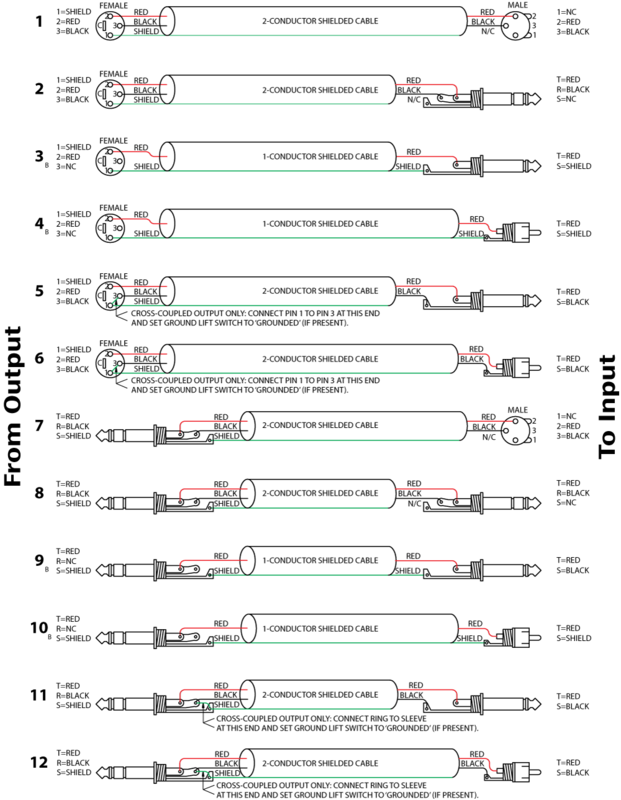 See Figure for suggested cable assemblies for your particular interconnection needs. Find the appropriate output configuration (down the left side) and then match this with the correct input configuration (across the top of the page.) 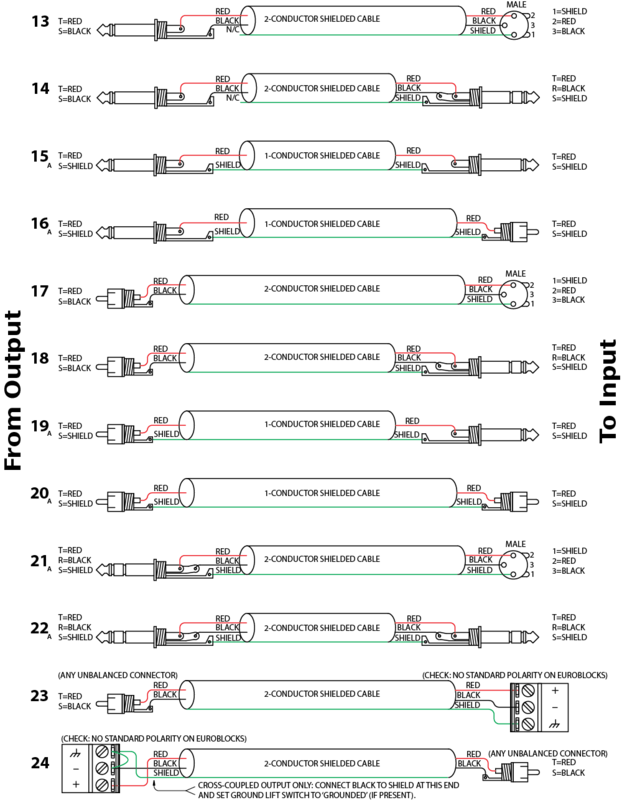 Then refer to the following wiring diagrams. 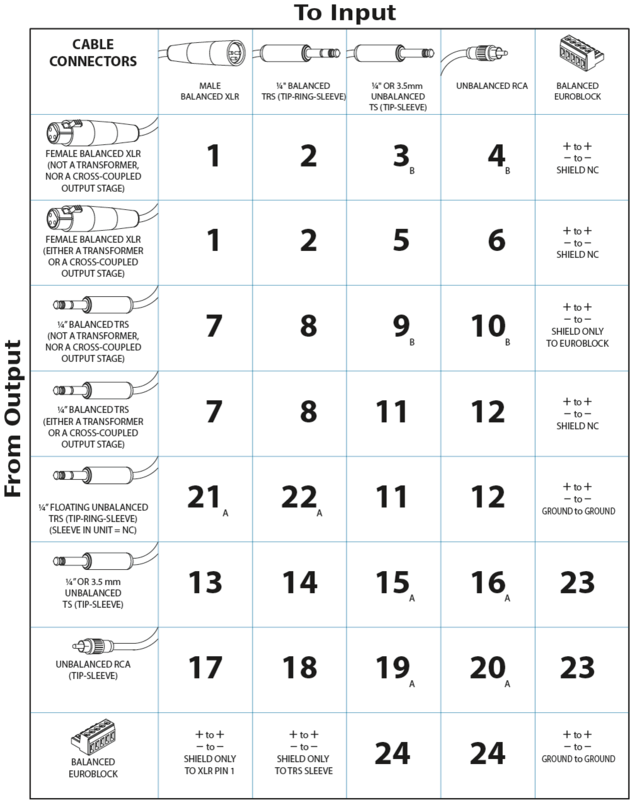 Interconnect chart for locating correct cable assemblies. 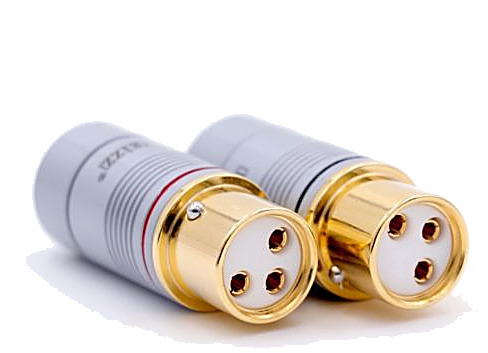 Note: (A) This configuration uses a standard "off-the-shelf" cable. Note: (B) This configuration causes a 6 dB signal loss. 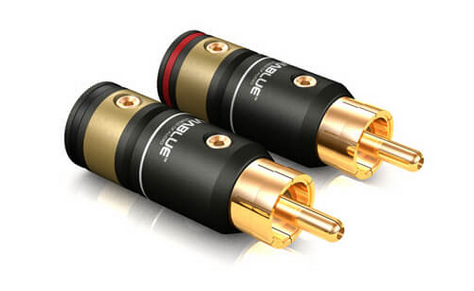 Compensate by "turning the system up" 6 dB.